Beauty Costs > How Much Do Blazers Cost? How Much Do Blazers Cost? A blazer is a form of jacket that is usually worn with a formal outfit. Also known as a suit coat or sports jacket, a blazer will usually feature flapless pockets and buttons made of metal. Created from a durable material such as wool, a blazer will often be worn by private school students, employees or those attending a formal event. 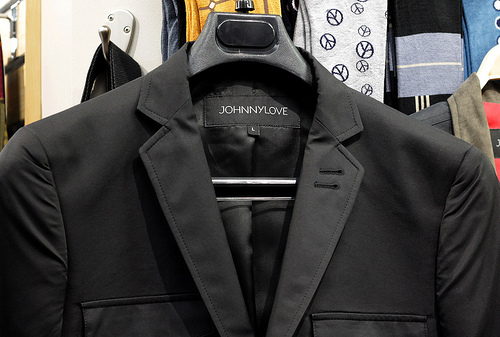 The cost of a blazer will depend on the fabric, brand and where it’s purchased from. How much does a men’s blazer cost? On average, a men’s blazer can cost anywhere from $25 to as much as $250 for a highly popular brand. Refer to our table below to see what some of the most popular brands can cost. For example, highly renowned brands, such as Original Penguin and Tommy Hilfiger, will be within the $100 to $250 range. For example, this Original Penguin Men’s Lightweight Blazer retails for $240. Lesser known brands can be purchased for as little as $25 to $50. Women’s blazers tend to be more decorative and can be within the same price range. Depending on the brand and design, some women’s blazers can cost as much as $500. Something unique like a sequin blazer can cost $50 to $200, while a velvet blazer can cost $50 to as much as $300. A custom blazer can often be the costliest, and the costs will depend on the material, brand and the tailor you use. With such a great range, it’s best to budget anywhere from $150 to more than $3,000; however, according to our research, it’s best to budget $450 to $850 for a high-quality custom-made blazer. LandsEnd.com, a popular retailer found in local malls, has a wide selection of blazers. From casual to classic wear, most of their blazers cost anywhere from $80 to as much as $220. Blazers can be made from a variety of fabrics, but the most common fabrics will include velvet, cloth, and wool. The most common colors that these blazers tend to come in are white, black, or shades of gray; however, like any article of clothing, any pattern and/or color is possible. A blazer will more than likely come with front pockets and three colorful buttons toward the bottom of the blazer. The blazer will button all the way up to the center chest area. If the blazer does not fit comfortably, alterations will probably be needed. Depending on the complexity of the alteration, it should cost no more than $30 to have the job done. Blazers, especially higher end brands, should not be washed in a washing and drying machine at home. Instead, it is best to take your blazer into a dry cleaner. Most dry cleaners will be able to dry a blazer for a few dollars. A blazer is just a part of the outfit. Many blazers will come with a matching suit set that includes the pants, a tie and a shirt. If an entire outfit is purchased at the same time, the entire setup can well exceed $200. However, if you are going to purchase an entire outfit, you will want to do it all at once. By doing this, you will be able to save the most money when combining your purchase. Blazers can be found in many department stores. Before you shop, consider looking for a coupon or promotion codes. It also does not hurt to look for some items on sale in your local ads. Try to wait for the offseason. Blazers tend to be cheaper in the warmer months such as the summer. If you do not mind purchasing a used blazer, many websites such as eBay and Craigslist will have blazers for sale at a discounted price. This is a great way to buy brand name blazers at a deep discount, and since blazers are made from such durable materials they will most likely be in decent condition.